These injuries are commonly and collectively referred to as ‘Whiplash Injuries’. The financial implications of a MVC, as well as interruption of your daily routine due to whiplash are also other major detriments of car crashes that may take years to recover from. With more distracted drivers texting and speaking on their phones, MVC’s are on the rise, making for much more dangerous roadways. While we cannot control other people’s behaviors, we can certainly drive more cautiously and defensively to hopefully avoid being in a car accident. Unfortunately, MVC’s do happen despite our best efforts, so being prepared and having a plan in mind is key to recovering quickly and getting back on our feet again. More serious car accidents mean more serious injuries, ranging from cuts and bruise to broken bones, brain damage, and even death. At first, less serious MVC’s however, may not seem like a big deal, with victims often walking away without a scratch, believing they have escaped the crash unscathed. Others may only complain of a slight headache, neck pain, stiff or kinked neck while resorting to taking over the counter pain killers, or wearing a neck brace to assist with their recovery – something that is far from addressing the true cause of the injury. Furthermore, the MVC itself will damage the cervical lordosis. 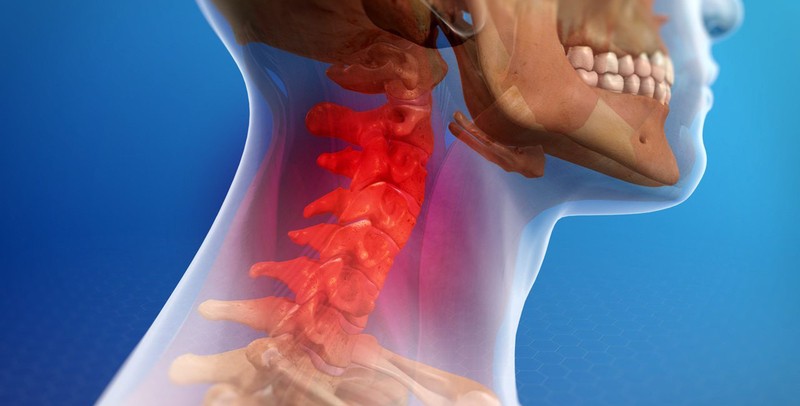 Concerning the extent of initial injury, researchers have found that having a well preserved cervical lordosis actually prevents neck tissue damage to the sensitive cervical spine ligaments. In contrast, the same researchers identified that straightened cervical curves and worse yet, reversed (kyphotic) cervical curves predisposed to more severe cervical spine tissue injuries due to more extreme forces acting on the neck during the exact same MVC circumstances. What many whiplash injured subjects don’t realize is that a slight headache or neck pain is a true sign of a much more serious injury to your cervical lordosis and underlying neck tissues. Spinal misalignments as a result of the sudden jolt of the MVC may manifest immediately, or not become evident at all for a long period of time. But this doesn’t mean the spine is healthy or that no injury was sustained. Other conservative methods may restore the cervical lordosis in selected cases, but these have never been proven in clinical trials and are thus, at best, hit and miss. If you are suffering from an altered cervical lordosis as a result of a MVC, use the procedures that are truly scientifically supported and schedule a free consultation with our Seattle chiropractors!